Ariana Grande is back in the spotlight and shining brighter than ever. 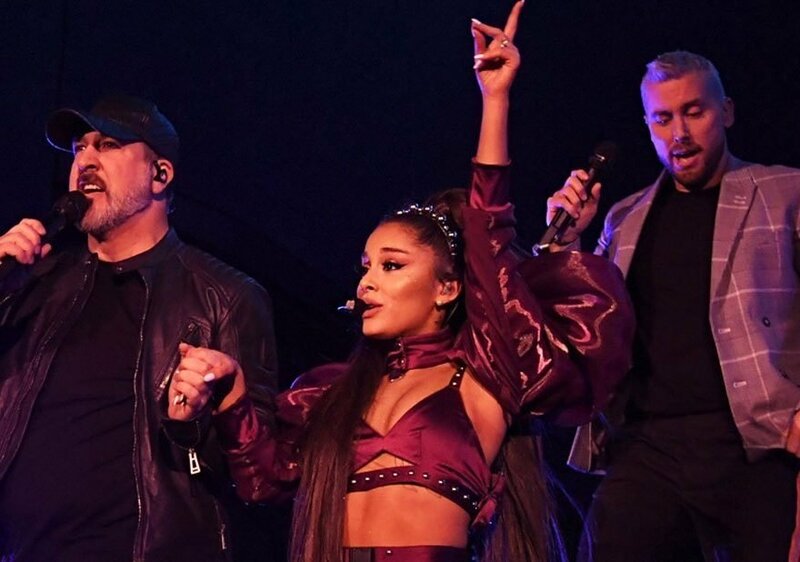 After a year of struggles, the “thank u, next” singer headlined night three of Coachella, belting out a string of her hit songs to a hyped-up crowd. After stepping out onto the stage dressed in a dazzling two-piece maroon outfit, the stunner shocked fans by bringing out NSYNC — sans Justin Timberlake — and Nicki Minaj to perform with her! “I’ve been practicing my whole life for this moment,” admitted Grande, 25, clearly loving the vibes at the Indio, California music and arts festival. JC Chasez was also excited to be there. “Coachella, this has been a dream of ours. Thank you, thank you Ariana,” he said. Grande’s Coachella show comes almost one month since she kicked off her Sweetener Tour with a tribute to late ex Mac Miller. It also comes after she ditched the 2019 Grammys — where she won an award — after being insulted by the show producer. RadarOnline.com readers know Grande’s Sweetener album was her musical comeback after losing her beloved ex to a drug overdose, and splitting from her fiancé, Pete Davidson. Ariana Grande Sings ‘Seasons of Love’ with Brother Frankie in New Cover Video!